Wow, you are on a roll Ms O!!! I just found out today that the Minions dance through the countryside on Will Pharrell's 'Happy' 24hr recording (during the 5 AM hour.). Feels like I'm having a 24hr Miniathon. Awwwwww! They're awesome! 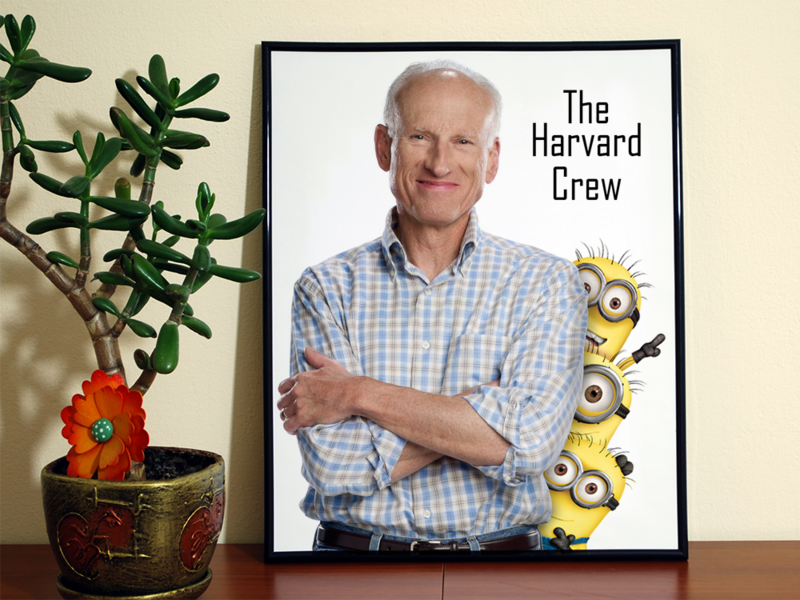 I love the minions, and putting them together with Reese is a brilliant plan. Thanks for sharing! 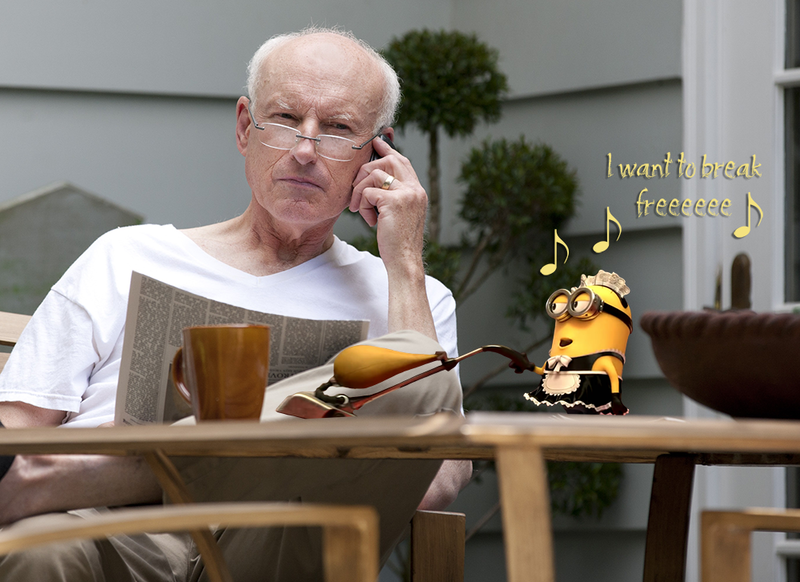 More minion, and with Hughes!! LOL! This is made of awesome. So, so, so adorable!!! HUGS YOU HUGS YOU HUGS YOU HUGS YOU!!!!!!!!!!!!! AND FLAILS AND SQUEES AND MAKES ALL SORTS OF HAPPY NOISESE!!!!!!!!!!!!!!!!!! 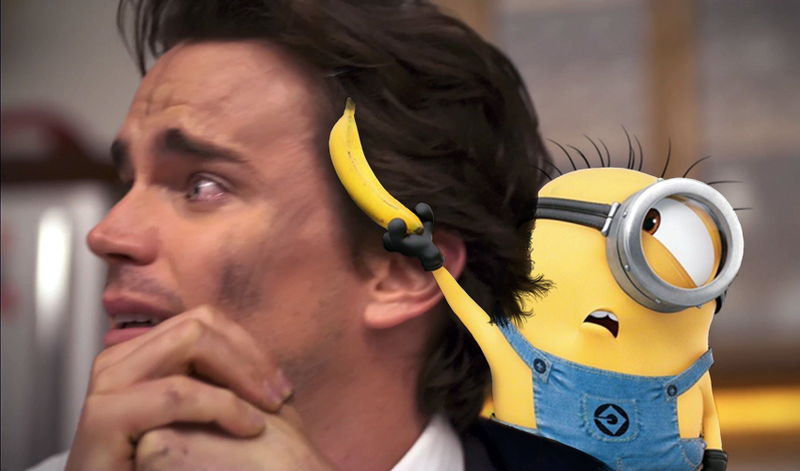 Yes, minions make everything better. Neal for example, could use a banana, donchathink? And I will so happily take any and all blame for this!!! LOL!